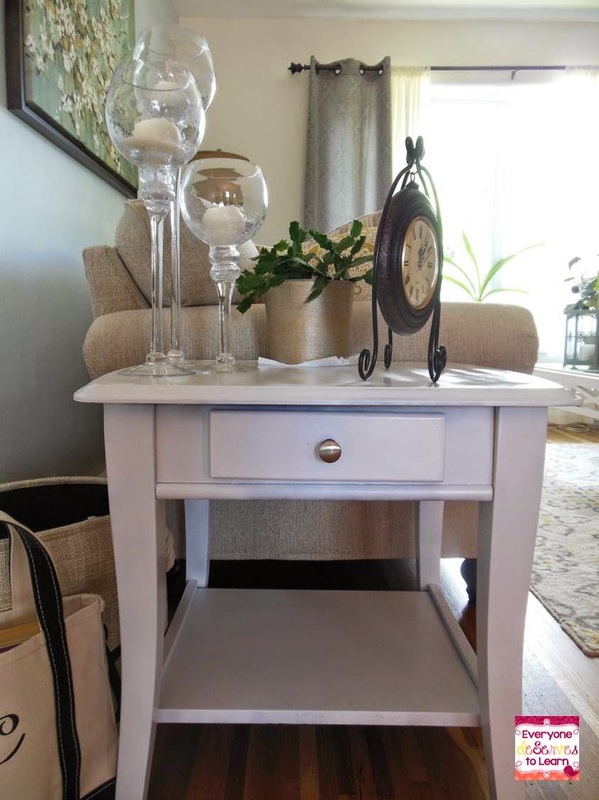 Who knew painting furniture was so easy?! Today's Monday Made It is a project I've been wanting to do since we moved to this house. Bonus, it only took 2 days. That makes this impatient perfectionist happy, happy, happy! I actually didn't have this table here in real life- I just put it there for the picture. It was hiding in a guest bedroom with its twin, because it did.not.go with our living room. 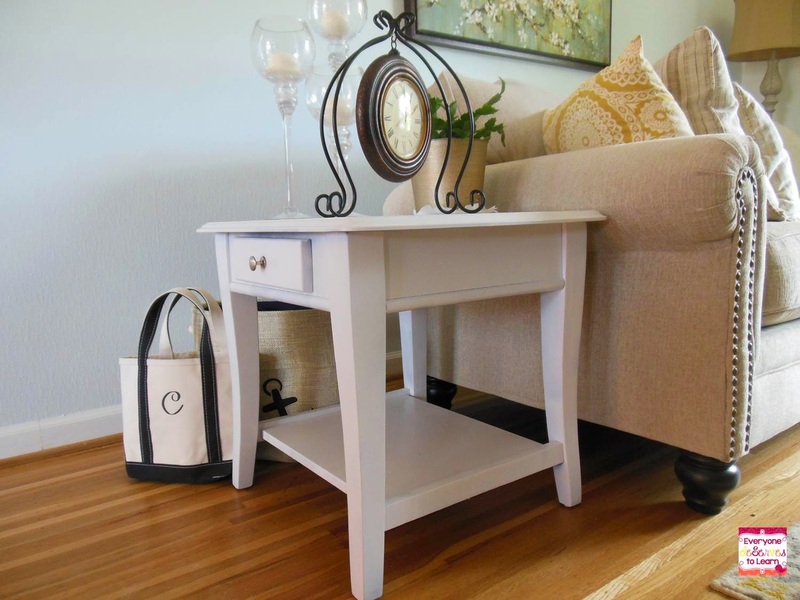 Actually, neither table went with any room in our house, hence the need for paint! I lightly sanded and then sprayed a light first coat over the whole table. While it dried, I moved to the second table. I let them dry overnight in the garage. (Does it look like someone died in my garage? Don't mind that please.) 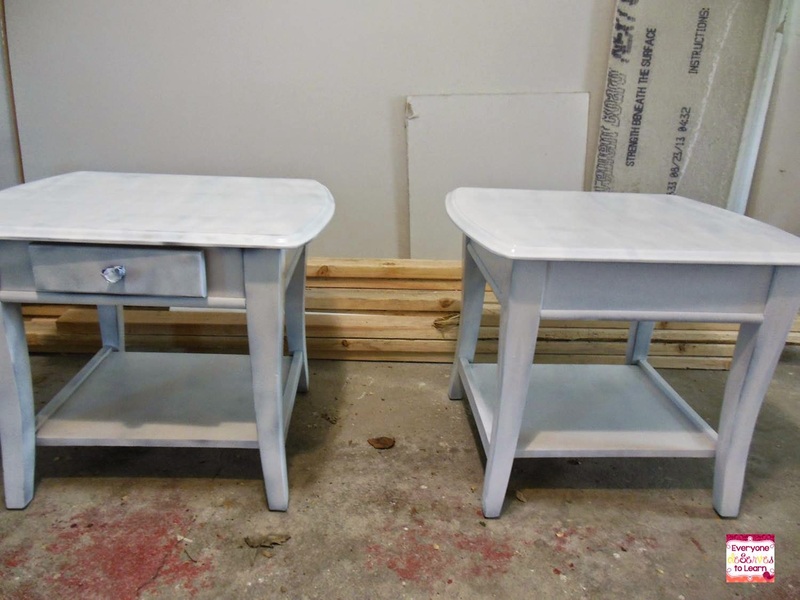 I did one table with Rustoleum and one with Valspar. 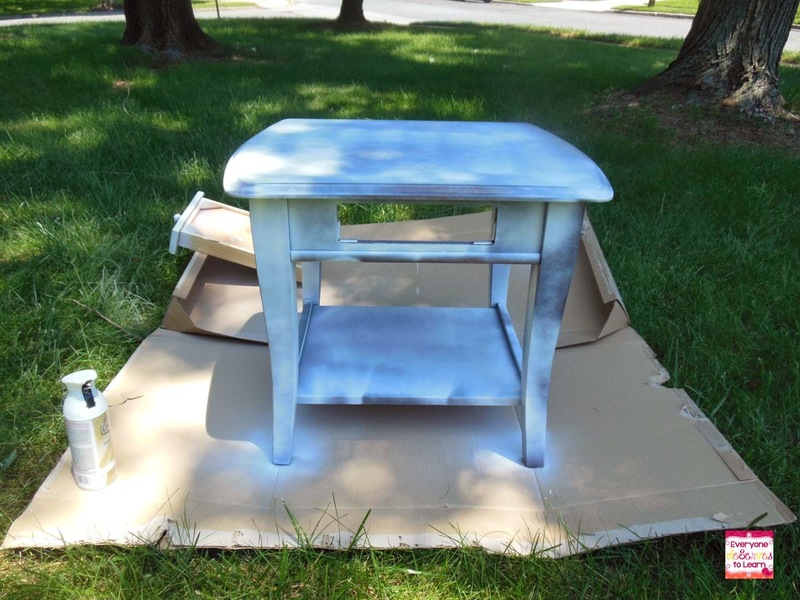 The next morning, I had to do a third coat on each table with a second can of Rustoleum- the much better option. Then I coated each table with clear enamel and let dry overnight again. Here are the after pictures! 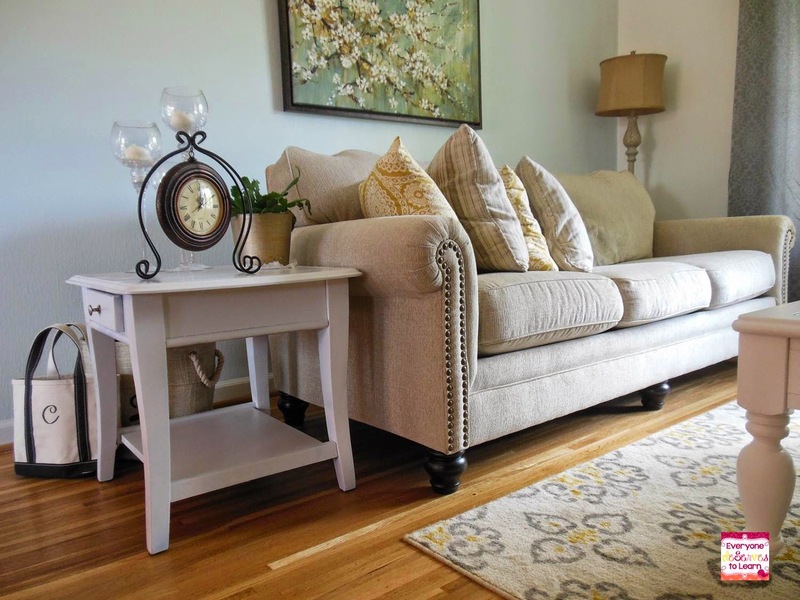 I accessorized by shopping our house and picking up a new piece at my favorite store, Kirkland's. I do need a nicer charger for under my Christmas Cactus than a napkin. Small steps, people. 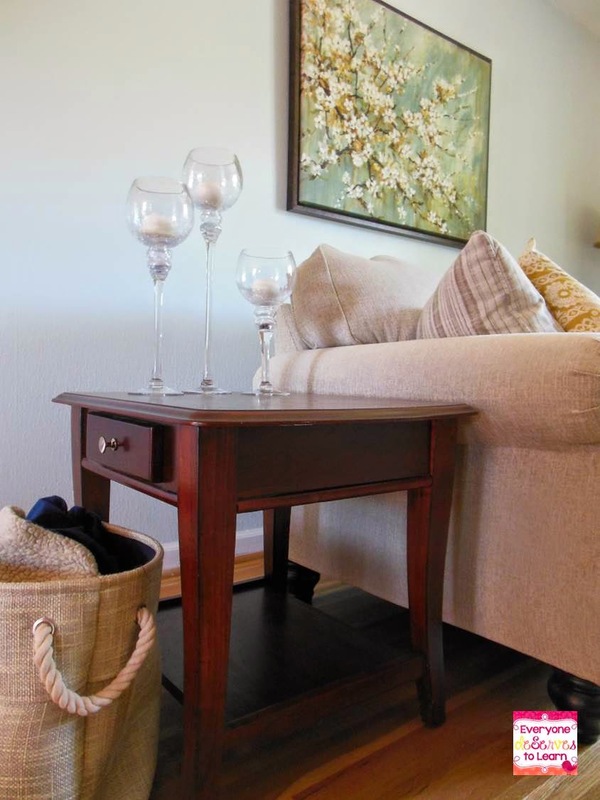 Here's the second table in a guest bedroom. This guy was the Valspar experiment and never fully recovered...but it's ok because that room is beach themed so he can look a little rustic. It's a sad, boring little table right now, but I have a coral lamp to put on top that needs a lampshade...my next Monday Made It? 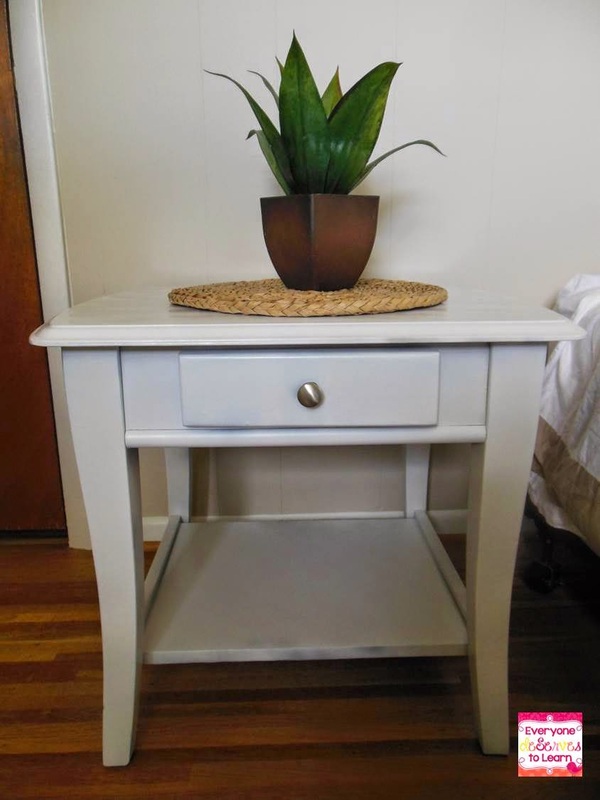 What do you think of my first foray into painted furniture? 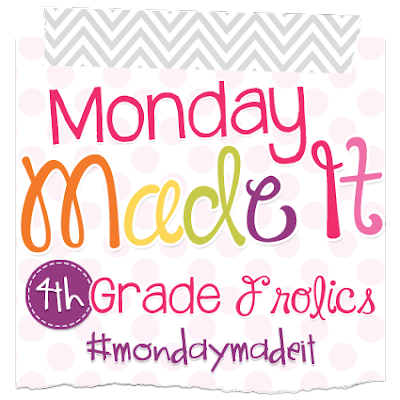 Link up your Monday Made It's with Tara! 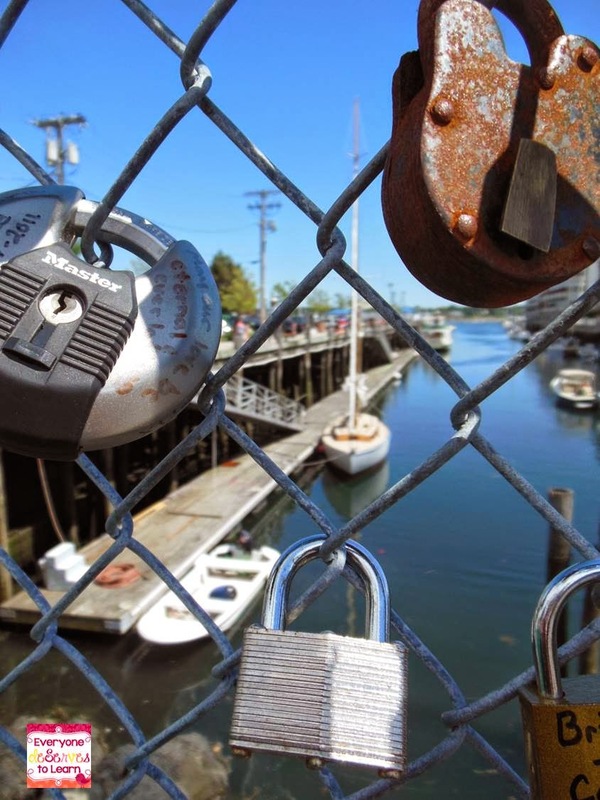 Have you heard of the lovelock bridge trend that's happening now? 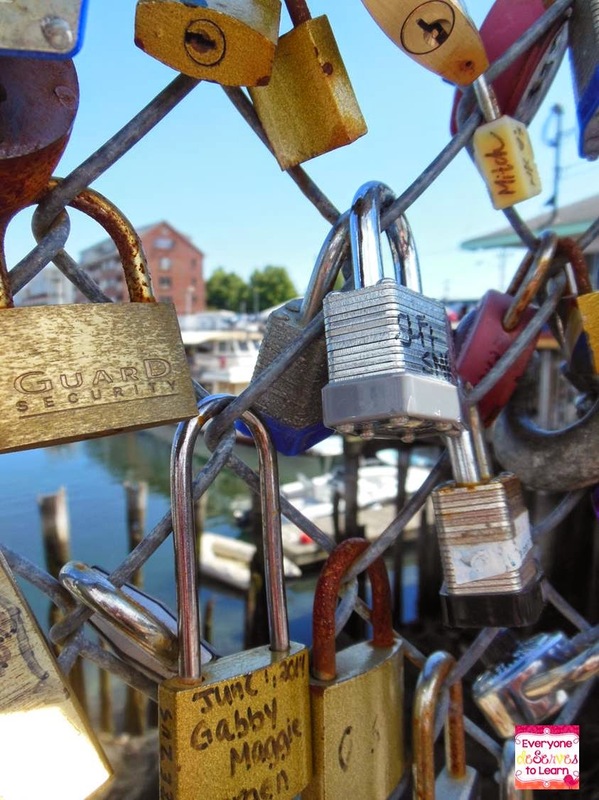 It started in Paris and we came upon one in Portland, Maine over the weekend. What do you think? 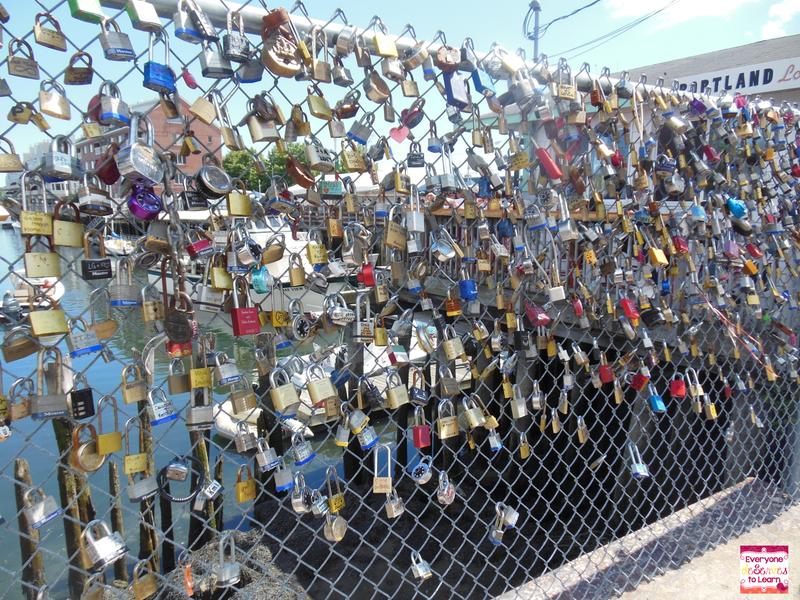 Romantic or pointless? I've had the "Summer" song from Frozen stuck in my head the last two days- "Put me in summer and I'll be a...happy teacher!" 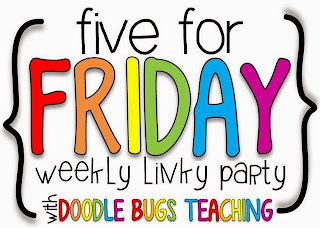 I'm linking up with Kacey from Doodle Bugs to share 5 things from my week. 1. My summer guided reading books came! I'm so excited about these. I read Vampires Don't Wear Polka Dots with my 4th Grade ELL's and they begged me to read another one in the series. I know we'll have lots of fun reading these this summer. 2. 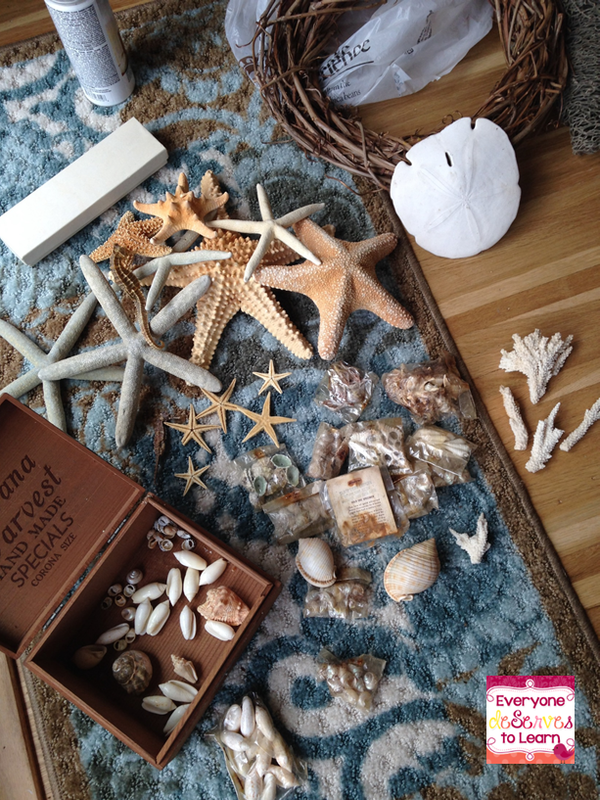 I may have gone overboard with the beach theme in my guest bedroom. I am going to add more pictures as we take them, and I'm thinking about staining that mirror, but at least people can sleep in our house now! 3. I borrowed my teaching partner's older students this week and put them to work leveling my library. I should rephrase that and say we attempted to level my library. There are too many books that don't come up in Book Wizard...what's up with that? We got a lot done, but I still have to figure out a better system of labeling them. 4. I drive over a one lane bridge on the way to work and on my way down the other side, this guy was smack in the middle. I drove past him to where the road widens, then put on my hazards, pulled to the side, and hopped out. Picture this: me in my bright yellow school spirit shirt, talking to an algae covered turtle at 6:20 am in the middle of the road: "Ok, I'm going to pick you up- don't go wriggling around. Ok, I'm gonna set you down now...go find your friends. The road is not your home." I think he listened- he wasn't there when I drove home! 5. On my first day off from school I went in my office to pay a bill. I stopped short at the door and said, "Oh no. This will not do." I had let books, papers, gift wrap, and junk pile up in there and I could barely find anything. So this is the before shot. The big box on the far right is a desk from IKEA we picked up a few weekends ago- look for a Monday Made It Office Reveal coming soon! We are off to New England this weekend to eat all the lobster. Seriously. Breakfast, lunch, and dinner. And maybe dessert. See you soon! Do you have students who sound a little bit like Yoda? (And not in the philosophical way?) I do. There's a really good reason for it- let me explain. The graphic above comes from a fabulous article written by a school psychologist- I highly recommend reading it. Most of my students remained in the "silent period" - somewhere between the pre-production and early production stage until about January, when all of a sudden their speech began to take off. They spoke in one word phrases using memorized vocabulary (bathroom, drink, pencil). By March, they began to string those words together into phrases, and now, I can barely keep them quiet! However, they are still in the speech emergence stage, which means they are rapidly acquiring vocabulary, but most likely do not have the grammatical infrastructure to use it correctly. So what do we do about it? Some schools of thought say to teach grammar directly. You remember those fill-in the blank grammar books you had. Some schools of thought say to let grammar develop naturally. I stand with my feet firmly planted in midair on that point. Until this point, my students were just not ready to learn grammar directly, so they learned it naturally. However, I can't have mini Yoda's in my classroom anymore. So start with syntax will we. 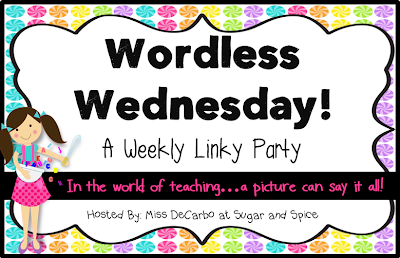 For this lesson, we read through a reading passage together. The passage comes from K-12 Reader. When we got to the questions, my student answered like this. "The on is bug the rug." He used skills we've learned such as looking in the text and looking at the question for key words, but still had trouble putting his words in order. Since his content was correct, I grabbed a whiteboard and modeled the strategy below. I wrote the words he used on the whiteboard (the picture is from a different question), then said, "We start with "the", so "the" is number one." I had him place a red 1 next to the word. I modeled the correct sentence out loud, and had him find the next word and place a red 2, and so on. For the second question, we followed the same procedure- I wrote the words he used, and he was able to identify which came first. By the third question, he wrote the words himself AND wrote the numbers. We read the sentence out loud in its numerical order, then used a stylus to write it on the tablet. I noticed that associating a number to the words made a huge difference in his ability to track the sentence. Since we've done a lot of 10 Finger Sentence practice, he is used to counting his words, so this was a natural progression. It's one small step for grammar, but one large leap for syntax. Welcome, June! I'm so very glad to see you! 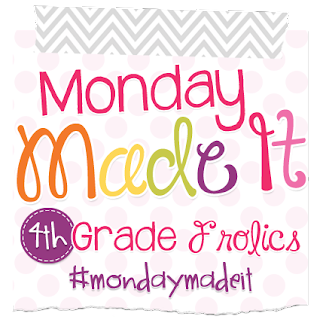 And I'm doubly glad that Tara has started her weekly Monday Made It series. I probably won't be able to link up every week, but it definitely gives me something to look forward to! 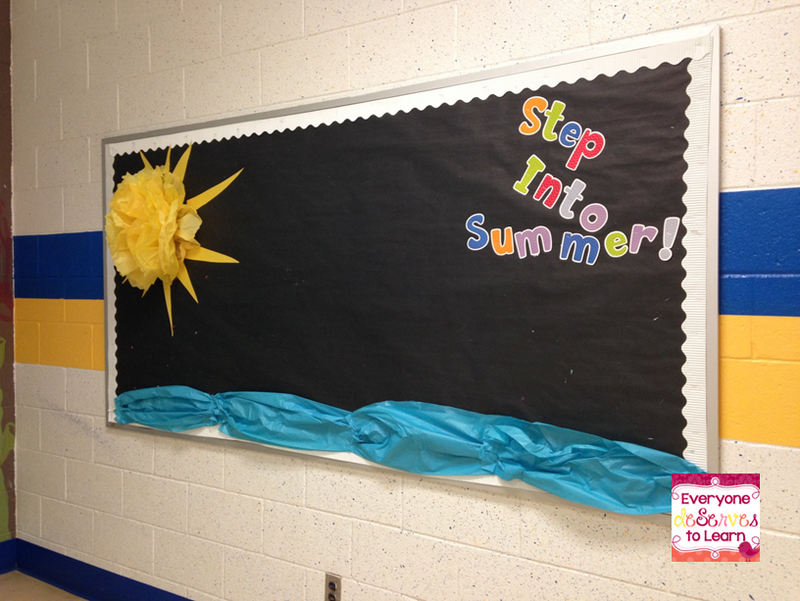 I have one home and a few classroom made-it's today, all summer-themed. Hope you're ready! From a pile of forgotten knick knacks in my grandmother's garage came a beautiful wreath which now hangs on our front door. I still have extra shells! 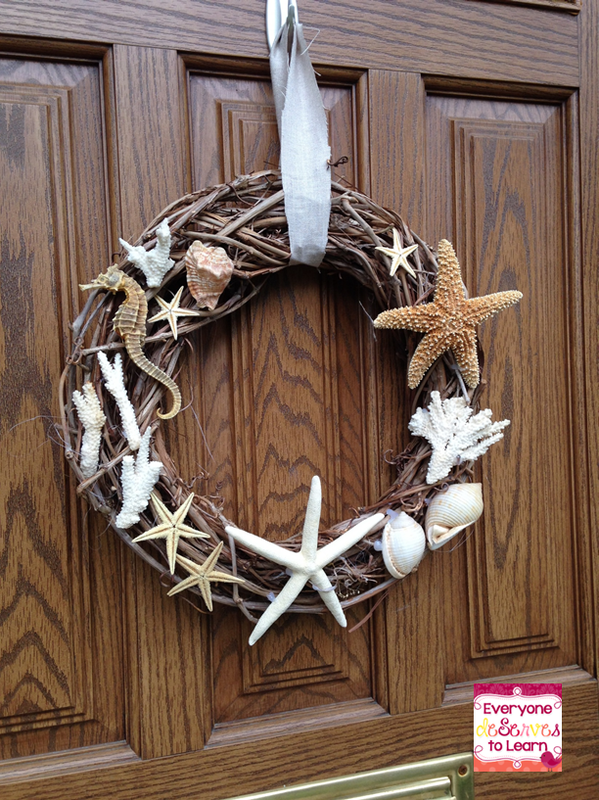 It cost me $0: I had a wreath with ugly flowers that I ripped off, then placed the shells where I wanted them and hot-glued. Voila! Easy peasy lemon squeezy. 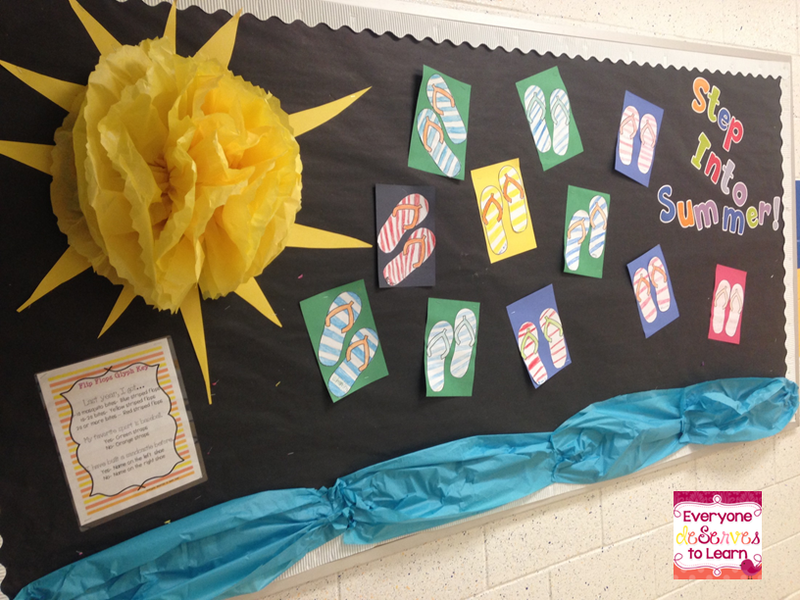 Our bulletin board theme for May/June was "Step Into Summer." I wanted to dress up my board so I added a tissue paper sun and tissue paper waves. To make the pom pom, I followed the instructions here, and just stapled rays behind. It makes me smile! I've been working hard getting ready for summer school- I'm not going to spend my vacation planning and prepping lessons! 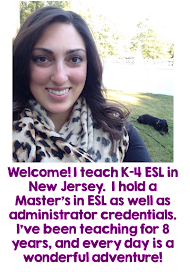 I'll be teaching the 3-5 graders, and we have a new ESL teacher (Hi Kim!) teaching the 1-2 graders. So to help us both out, I planned some morning/independent work that can be projected while we pull small groups or individuals. (And projected it will be, since we're on paper lockdown at my school!) There is a set for 3/4 and a set for 1/2. Annnd I'm putting them on sale from tonight until Thursday night! Click either picture to check them out. That's all, folks! Enjoy the rest of your week!